Last fall I had the chance to go to the Round Top, Texas area flea markets. I mentioned it in this post, it is where I found my blue chandelier that I put in a CB2 Basket. 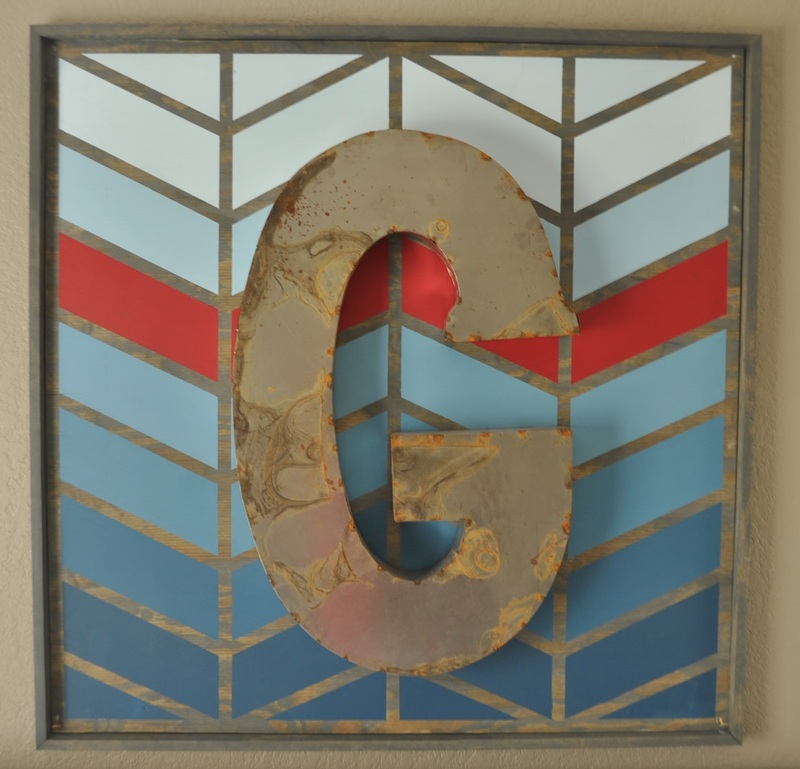 At the fair, I also bought a large (36" x 22") metal letter "G" for my son's room (his name starts with the letter G). I wanted to mount it on his wall above his headboard. That big metal letter has been awkwardly sitting in his closet ever since (nothing that big and sharp sits nicely). I just couldn't see it hanging over the bed by itself. Because that would be too easy. And you know how I love a good project. His room has lots of blue (shocker) and red in it. So I thought I'd accent the letter G by mounting it on a painted piece in those colors. I think herringbone is such a great pattern, I've been toying where to use it in the house, and this was just the project. Ombre is also a trend that I really love in home decor--pieces where multiple shades of the same color are used in a gradient. So, I put on my thinking cap (which means I lay in bed after everyone else is asleep while my mind spins up projects on a too-late-diet-coke-drinking caffeine kick). This is what it looks like from straight on. I would show you the rest of the room, but it is what we call a "work in progress". I know this piece is going to tie the whole room together when it's done. I bought a 4' x 4' piece of plywood at Home Depot and sanded it with 180-grit sand paper to take off the rough edges and splinters. I picked a piece that had a cool grain to it. Then I applied Varathane wood stain in Weathered Gray. I wanted the grain to show through really well so I brushed it on, and within a minute or two rubbed it off with a clean towel. I then used 1-inch Scott painter's tape to create a box around the edges. This tape sticks really well and removes really well, you definitely need painters tape and not regular masking tape. As you are applying the tape run your fingers firmly over all the edges to make sure it all adheres to the tape. If your paint runs, there is not a good way to fix it! And then I started from the bottom of the second column. Instead of making marks this time, I used the framing square to make sure that the herringbone pieces were even across the two columns. I repeated this up the third column, and then down the fourth column until I was finished taping the entire board. Although this seems like a lot of work I think it only took me an hour to do it. And then again with the red paint and (yeah!) all of the tape removed. It is such a good feeling when you remove tape and the paint lines underneath are super crisp. That gets projects nerds like myself all worked up in a fuss with excitement. To make the frame I miter-cut four 1 x 2's the exact same length. To get the right length, I measured all four sides of the board (to make sure they were the same) and added 1/8" inch to the measurement. This is because I added the frame to the piece on the wall AFTER I mounted the piece to the wall. I found these awesome miter-corner brackets at Harbor Freight tools a few years ago that are great for making frames. It makes keeping your frames true and square super easy. I applied glue to the mitered corners, screwed the clamps to the boards tight, and then nailed the corners with my pneumatic nailer. I lightly sanded the frame and applied the same stain/wipe-off method as the plywood. I mounted the 4 x 4 onto the wall by using a countersink drill bit to create recessed screw holes in the four corners. I measured and put in drywall anchors into the wall that are made for heavier weight and then screwed right through the wood (sinking the screw heads) and into the anchors (again, one in each corner). Then I placed the frame around the plywood and secured it using a few finishing nails. All in all a super easy and affordable project that has made a huge visual impact in the room. I am linking this post with East Coast Creative. Girl you rock. You are the most talented friend that I know. 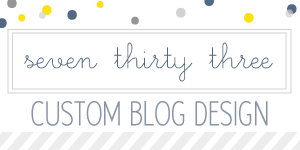 I love looking at your blog and seeing what amazing things you do. Wish you lived by me so you could make my house so cute. That G is so cool. You come up with the best ideas. And this is so do-able. By comparison, I'm no project nerd, but I'm still getting excited. Love it! That's what is so cool about your house is that it's filled with unique projects that you aren't going to find anywhere else. You continue to amaze me with your skills and creativity. I didn't think that was possible. You are fabulous!!!! I love these unique projects! Keep em coming girl! 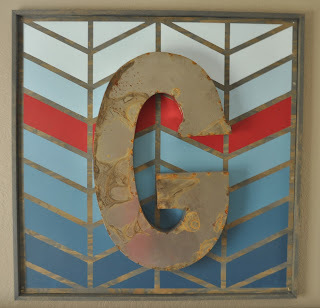 No where else in blog land will one find a large, herringbone pattern piece of wall art with a ginormous 'G' on it. Such talent.